Create and manage easy to use Bus ETAs with our application. View and change route information quickly and easily using our interactive map for route planning. Bus ETA is a perfect solution for School Bus routes. Students and parents will be able to see the arrival time for that day right on their mobile devices. 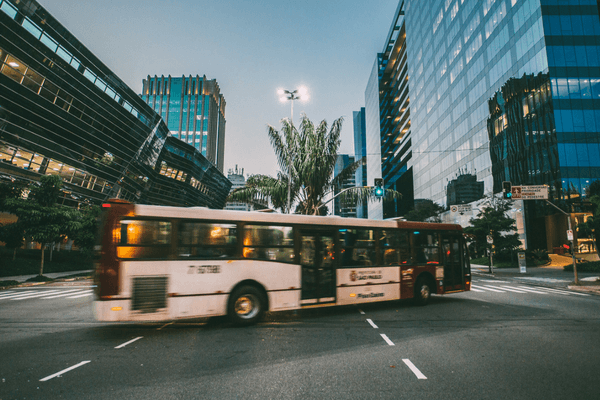 Customize and place additional stops for a route, change route routing and manage your transit routes conveniently with our simple to use interface. Bus ETA allows managers to give real-time live location of arriving Buses/Shuttles. Real-time updates of arrival times for various stops. Managers can eaisly set routes in MyGeotab and define which vehicles are assigned which routes, and schedules. Bus ETA is automatically updated based on real-time conditions. Customers will see live updates on their mobile app or television at your site. Bus ETA creates a much better customer experience by keeping your customers informed on arrival times. Reduce the number of customer calls for updates on arrival or departure times. Customized branding will help increase brand awareness/recognition. Bus ETA will significantly improve the organization of managing routes, ultimately making the job more efficient & less stressful. ZenduCAM enables MyGeotab users to monitor fleet activity via real-time live HD video streaming on a standard web browser or mobile device. With the KP1S solution, a second camera can be added.